With allbranded the ordinary cotton PP bag becomes a real eye-catcher and thus make an appropriate advertising gift. Simply click on our wide range in our online shop and let the versatility of our promotional products enchant you. Here you will certainly find a product that answers to your needs and expectations for a high customer response. The use of it is universal; whether it is the kids for gym class, trips or shopping spree. Other branded products include printed paper bags, pens, mugs, umbrellas, drawstring and tote bags ready for you to check out! Printed polypropylene bags are reusable, durable and can be fully customised by you with your corporate design. Display your logo clearly and benefit from the reusable appeal of these products. You can generate more brand impressions and have everyone in your area talking about your business when done right! Also, PP bags ensure that as a business you are doing your part for the environment. By handing these out to those you interact with, less people will be using wasteful plastic bags that are a huge issue when it comes to operating in an eco friendly manner. Read more about the benefits of eco friendly products and find out exactly how your organisation can benefit from using them. PP bags have certainly been held and owned by practically everyone. As a convenient shopping bag or as a partner at a trade fair we know to appreciate its benefits. PP stands for polypropylene and is a plastic that is not only used solely to manufacture bags, but is also popular in home textiles, carpets, as well as in packaging materials. Promotional PP bags are characterised by high tensile strength and load carrying capacity - in addition, the PP-Material is very water resistant, kind to the skin and odourless. Another positive feature of the PP bag is the positive environmental impact making it a great way to appeal to eco-friendly target groups. All this makes the promotional PP bag extremely popular with consumers and thus is not surprising that even companies make regular use of the PP bag for promotional purposes. Most of our offered PP bags are "woven" bags. Their smooth surface provides an excellent four-colour printing of your logo or graphic. Non-woven bags, on the other hand, are rather rough to the touch. We can make these bags, depending on the model, with a 3-colour silkscreen print finish. In addition to the special decoration options we offer our PP bags in a variety of colours and forms - from matt to gloss/laminated look. Our PP bags range in features with long as well as short handles, general sizes and shapes. It is up to you to decide whether you would like to opt for the smaller options or our XXL variety depending on your target group. 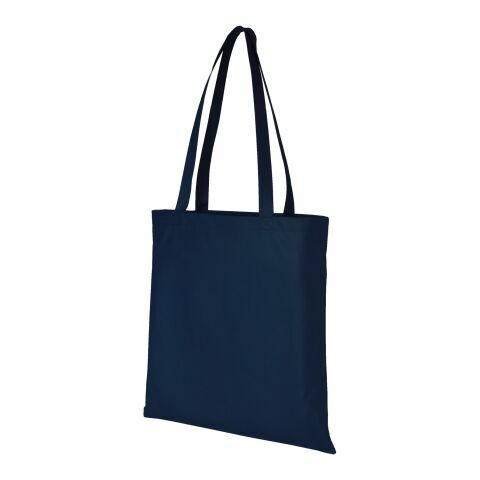 Allbranded offers you high-quality woven or non-woven promotional bags for even the most demanding shopper. Our PP bags have excellent printability and therefore are the optimum advertising article for your advertising campaign. The advertising bags can be printed completely and extensively. This way your logo takes advantage of colour schemes, visibility and eye-catching qualities to deliver your advertising message with a sustained impact. Success of an advertising article is determined by the advertising effect. PP bags, due to the variety of design options and the size of the logo screen, generate undivided attention to the advertisement message and company brand. The promotional PP carrier is eye-catching and - compared to other advertising products function as true wide-range-audience magnets. Due to the high practical use and longevity PP bags are used daily as carriers and shoulder bags to distribute your advertising message with ease. Give these advertising products to your customers, for example as a cotton-shopping bag or surprise your employees with an all-year-round advertising collection, consisting of printed tote bags, keyrings, pens, mugs, umbrellas, drawstring/tote bags and rucksacks. The ordering and customisation of the promotional PP bag as advertising article at allbranded is very simple. The first step begins by the colour selection as well as the desired carrier model and configure it on the product detail page. You do so by sending us your imprint/logo and quantity. The price is calculated automatically for reference and if needed, we are happy to assist you with any further questions online, via email and/or telephone.